Even though we all know and love BU Dining Services, there are times when you’ve had one Panda bowl too many. If you are willing to spend a little money out of your own pocket, here are my recommendations for the best noms around BU. 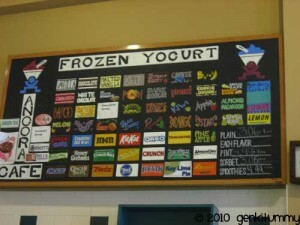 Angora Cafe – Best froyo. Japonaise Bakery – Best everything. 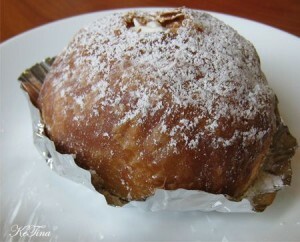 An Donut with red beans. SO GOOD! Egg and ham tea sandwiches? GREAT. Cream puff pastries? AMAZING. An donut? YOU CAN’T LEAVE BU WITHOUT EATING THIS! Noodle Street – Best Thai food. Sure, Brown Sugar is pretty tasty. But Noodle Street has the best Pad Thai around and is conveniently located next to SED (and they deliver!). Cafe Pompeii – Best North End restaurant for the cash-strapped. If you love Italian food, this is your jam. Located in the historic North End, Café Pompeii offers the quintessential Italian experience on a budget. Also, if you ever get in the mood for gnocchi at 1 am, this is one of the restaurants that stay open late, like absurdly late. Delicious. And gone in 60 seconds. After they replaced my beloved Jae’s, I went into Budda C with disdain. 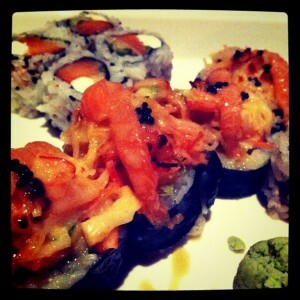 While the service is a little slow at times, they have amazing sushi and Asian entrées that are well worth the wait. And there is a GIGANTIC buddha too, who doesn’t love that? Also, I highly recommend following BUEats for the best updates on everything foodie near BU! Get ready to loosen those belts BU.